It was April 1, 1946, when Mr. Fernand Casavant acquired the Crémerie Saint-Jérôme, originally founded in 1927 by Mr. Joseph Forget, one of the first dairy farmers in the Laurentians. After leaving his hometown of St. Paul d’Abbotsford, Mr. Casavant moved to Saint-Jérôme, the largest town in the Laurentians, and lived as a widower with five children. The whole family lived together on the 2nd floor of the ice cream shop. After the acquisition of the Laiterie, he opened the dairy bar in 1947. He would remain at the helm of the company until 1971, when he transferred management to his son Bernard. That same year the ice cream department was sold to Grenache. In 1974, with the consent of his father, the son (Bernard) bought out his father’s shares and became the owner of the dairy. For his part, Fernand Casavant began and continues a long and distinguished career as a painter to this day. 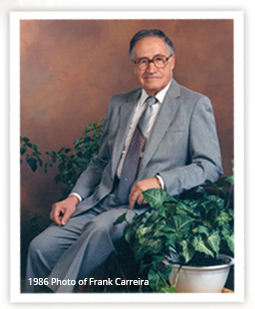 Once installed as the head of the company, Bernard Casavant quickly modernized the plant and machinery. He also innovated by computerizing the accounting system. 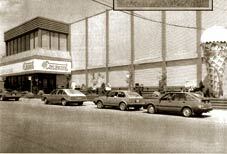 In 1981, the company was rebranded as Laiterie Casavant, which helped expansion throughout Quebec. 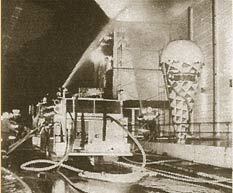 In 1982, the Laiterie acquired Normand Casavant inc., an ice cream distributor. This marked the return of ice cream to the dairy, which was complemented by acquiring the "Lowe" Dairy in Lachute in 1983, through which the Department of the Laiterie Casavant’s ice cream department would channel through. The acquisition of the Lowe Dairy allowed the two companies to merge and build great reputations among the Laurentians. 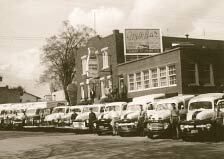 Many can remember that the Lowe Dairy, founded in 1944, stood out with its ice cream. This acquisition also made it possible to consider developing the business across the Ontario border. 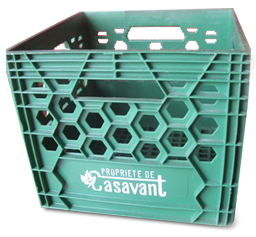 In 1983, Bernard Casavant was a leading player in the development of Grouplait, which was gradually taking shape with the consolidation of six independent dairies, all eager to restructure and develop the product marketing for the province of Quebec. 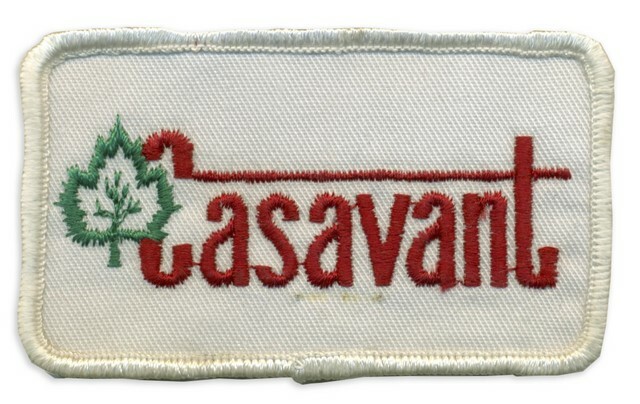 The agreement meant that each company kept its regional identity and its own trademark: Casavant in Saint-Jérôme, Mont Saint-Hilaire in Saint-Hyacinthe, Chagnon in Waterloo, Choix Unic in Amqui, De La Baie in La Baie and Guaranteed Pure Milk Co. Limited in Montreal. Between 1983 and 1986, two other dairies join the group, Lowe Dairy Lachute and Regal Dairy from Thetford Mines. In Saint-Jérôme, a new investment was needed. In 1984 they added six loading docks equipped with conveyors on floors. The bulk of the operations is still located in Saint-Jérôme, but the company has several distribution substations, including one in Montreal and one in Quebec. On October 17, 1986 a fire broke out in the building of the Casavant Laiterie in Saint-Jérôme, causing more than two million dollars in damages. Thanks to the commitment of all employees, operations resumed: Casavant milk continued to be delivered daily and the Laiterie bounced back, stronger than ever. In 1987, another innovation for the region: the dairy’s delivery routes became computerized through its association with CIS Group in Saint-Jérôme. 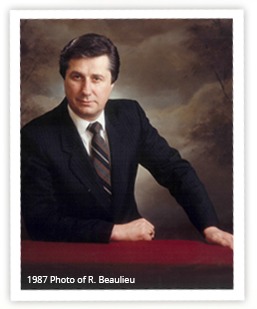 1988 was marked by the arrival of Mr. Pierre Péladeau, founder and President of the Journal de Montréal, and André Rochon, President and Senior Partner of the law firm Rochon, Prévost, Auclair and Fortin to the Laiterie Board of Directors. Both joined Mr. Paul Daze, counselor, and Mr. Serge Paquette, Vice President of the company and the Board of Directors, an amazing and innovative structure for its time. 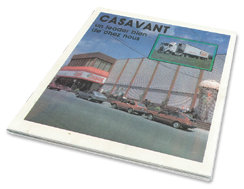 In 1989, Casavant bought Estrie-Lait from Magog. By engaging in the regions that lacked supply, Sherbrooke and Magog, it confirmed its position as a leading private, independent dairy in Quebec. In November 1989, they also purchased "La Crémière" franchises as their latest acquisitions. In 1990, they proceeded to build a warehouse in the industrial park of Saint-Jérôme, which organized the distribution of ice cream on the area served by the Dairy. 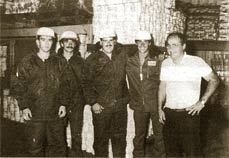 And then, in 1990, the last act: the Laiterie and all its subsidiaries were sold to Agropur and Natrel, who continued operations under the name Laiterie Casavant. Later, everything was kept under the name of The Natrel Cooperative!